Focusing primarily on, duh, telematics, the telematics.com blog has proven to be a fantastic resource when it comes to providing insightful information without being overwhelming. A great source for a quick read if you would like to learn the newest technology trends, and practical tips like the right questions to ask when evaluation a new telematics solution. Looking to learn more about the advanced benefits of GPS tracking? Or, how about making sense of the skilled labour shortage in logistics? Telematics Magazine is a well-known and popular choice for many professionals in the industry looking for the latest news, advice, and accurate information on the technology in general. Drawing from their deep experience in the industry, TomTom Telematics has a team of experts well-versed and passionate about enhancing fleet effectiveness. Read on to learn some great insider tips on the TomTom Telematics blog. Looking for the latest updates on fleet management industry trends? Or hot issues affecting the transportation sector, such as distracting driving and regulatory pressures? Regardless, Telematics News is a great resource for catching up on the latest innovations and updates. FleetOwner is a great resource for the latest updates on how fleets are investing in technology, including fleet telematics, to increase efficiency and streamline processes. Covering everything from the latest telematics products, to compliance updates, to informing readers on how modern fleet telematics systems function, FleetOwner remains an indispensable resource for executives and managers of commercial trucking fleets. 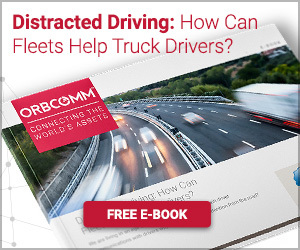 Do you want to learn more about how technology encourages higher driver retention and improves fleet safety, or the latest updates on ELDs and other compliance issues? If so, search CCJ’s blog for “telematics” and you won’t be disappointed. Rich with informative and thoughtfully written content detailing industry developments and the latest trends, it’s regularly updated with something engaging and insightful. From engaging opinion pieces on making the financial case for technology, to insider tips and updates on the latest goings-on in telematics, Transport Topics is full of data-rich articles that explore the inner workings of the industry. Content on Transport Topics has an eye to the future while being firmly planted in the hottest topics that matter most to trucking industry professionals today. Focusing on everything from how ELDs operate to TMS system integration and blockchain, Overdrive Online is regularly updated with new and engaging articles delving deep into all things telematics and much more. Overdrive is a popular daily destination for owner-operators looking for the latest news around technology, compliance, safety, trends and other updates that are top of mind for the American trucker. From in-depth pieces profiling the latest business acquisitions, mergers, and competitor developments to detailed articles that educate on rightsizing your trailer fleet for maximum productivity, Truckinginfo provides a wide variety of great topics geared towards those who want to know about the latest developments in the world of trucking and telematics. The blog over on Global Fleet Insights receives regular updates pertaining to the world of fleet management, but this content is different in that it focuses on shorter yet equally impactful topics that seek to remain engaging, accurate and, like the other blogs on this list, based entirely on proven facts. A great place whether you’re a beginner in the field or a seasoned professional. For those working in telematics needing information pertaining to government fleet management, here is an ideal resource to consult when seeking proven, accurate and data-backed answers straight from the experts. From learning how to manage a specific kind of fleet to reading up on insider perspectives on the industry, Government Fleet is a high-quality online publication that delivers quality, actionable information. Many blog-readers may be familiar with Fleet News, a web-based publication that delivers the latest updates on all things telematics. From informative guides to the latest legal adjustments around the world to blogs addressing misconceptions on fleet tracking need addressing and everything in-between, this is a great and info-rich morsel of web content to sink your teeth into. Fleet Point is always being updated with future-facing expert blogs covering everything from mobile distractions to explorations of the future of low-carbon transport, GPS tracking statistics and rethinking mobile power. Simply put, if you’re looking for data-rich content that focuses on even the smallest details, this is the place.